G. Braun & F. Hogenberg -Lucenburgum. G. Braun & F. Hogenberg - Lucenburgum. Map maker : G. Braun & F. Hogenberg. Size : 14.2 x 18.1 inches. / 36.0 x 46.0 cm. 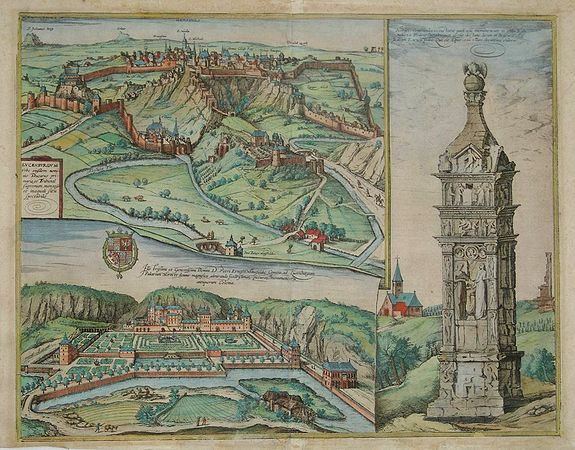 Description :Very decorative and detailed view of the town of Luxembourg, the monument of Igel and the Palace of Mansfeld. Condition : Paper very slightly age-toned. Small worm hole near the center fold. Lower margin cut close to border.